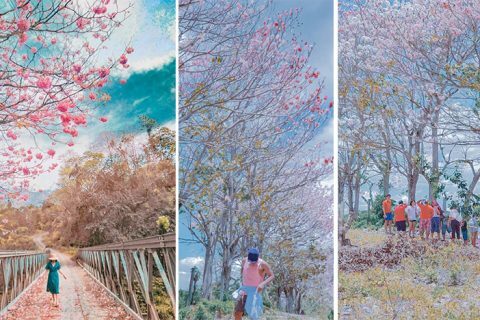 The 18-year-old son of Pinoy boxing champ Manny Pacquiao is getting ready to carry on the legacy that his father started. 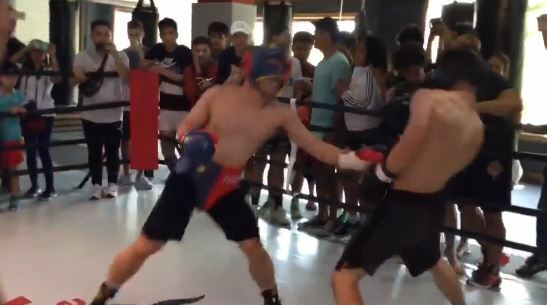 Recently, Manny’s eldest son, Jimuel Pacquiao proves that boxing is in their blood when he enters the boxing ring for his first sparring or amateur fight with his schoolmate, Lucas Carson in a two-round sparring session. 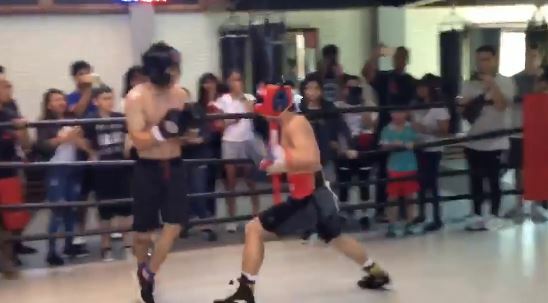 As seen in the video, Emmanuel Pacquiao Jr. or known more by his nickname Jimuel has the same relentlessness as his father in the ring as he kept charging his opponent. The two young aspiring boxers were wearing protective headgear to ensure their safety during the boxing fight. The fight was declared as a draw and the boxers pays respect to each other. According to eight-division champion, he said that he won’t discourage his son if he wants to be a boxer like him. Manny wasn’t physically there, but he didn’t miss any minute of the fight. In fact, he even talked to Jimuel and provided him some tips before the sparring session, he also showed full support for her son’s interest in his sport as he watched the fight via video call. Last February 2, Joven Sports Promotions’ Facebook page uploaded Jimuel’s video with the caption “ Emmanuel “Jimuel” Pacquiao Jr. Vs Lucas Carson”. 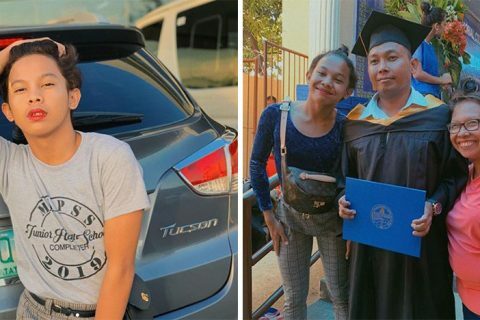 The video instantly caught the attention of many netizens who also believe that Jimuel is on his way to following his father’s footsteps. As of this writing, the video already has 477,508 views and 4,463 shares on Facebook. 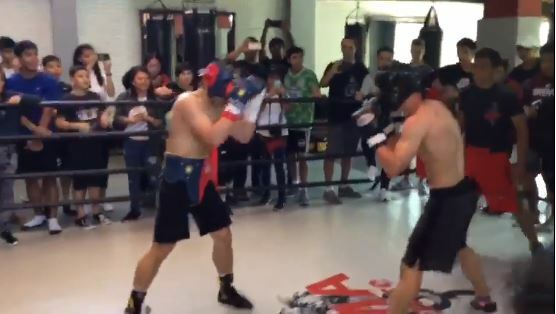 But aside from this video, there have been several videos on social media that shows JImuel displaying his boxing skills. 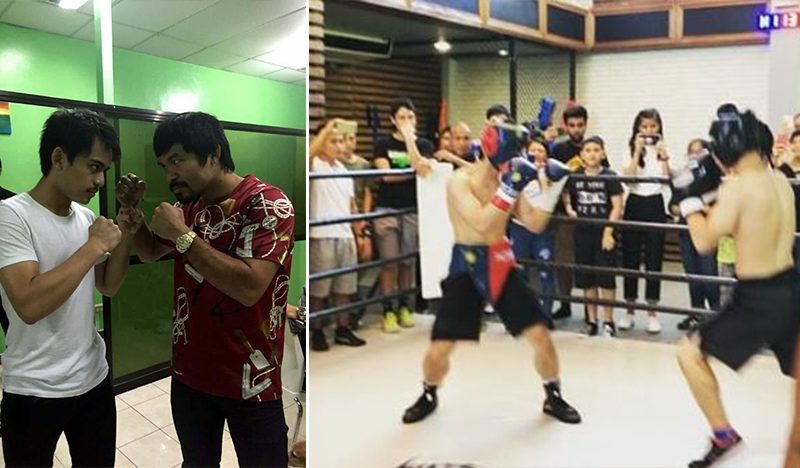 The young Pacquiao was seen training several times with his father, during the sparring session at the Wild Card Gym in Hollywood, California when Manny Pacquiao was still preparing for his latest match with American fighter Adrien Broner.